Novy’s Windows, Siding and Doors provides installation and repair for windows, siding and doors in and around Naperville, Aurora, Wheaton, Lisle, Downers Grove, Westmont, Brookfield, LaGrange, LaGrange Park, Western Springs, Riverside, & North Riverside, Illinois. We serve the entire Chicagoland area including Dupage and Cook County. We have thousands of references from happy customers. No matter where you are in the Chicagoland area, we can provide a reference in your area. You can also check out our A+ Listing from the Better Business Bureau. 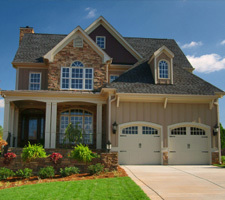 Novy’s Windows, Siding and Doors has two locations. Our Showroom is located in Brookfield and Sales and Service is located in Naperville. Naperville, Aurora, Wheaton, Lisle, Downers Grove, Westmont, Brookfield, LaGrange, LaGrange Park, Western Springs, Riverside, & North Riverside, Illinois.